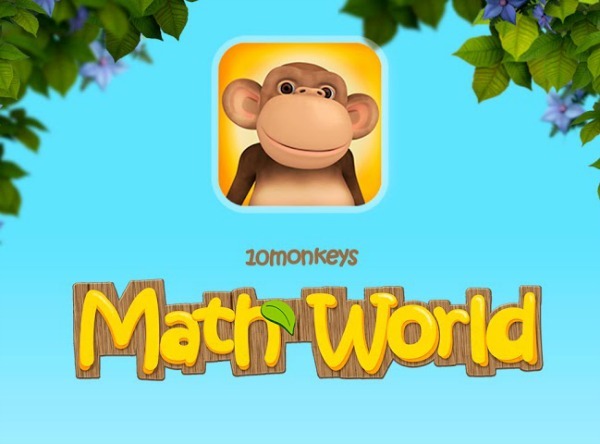 10monkeys Math World is an online Math Program geared for younger elementary aged children around grades K-3. It has fun, eye-catching graphics kids love! 10monkeys Math World takes a progressive approach to learning Math. It uses what is referred to as the “high pedagogic approach,” developed together with top professionals and schools. As they progress, their skills are improving as well – and they’re having fun! As a homeschooling mom, Emilee at Pea of Sweetness loves the progressive approach 10monkeys Math World takes and loves that her kids want to learn Math with 10monkeys Math World! Check out her full 10monkeys Math World math program review on Pea of Sweetness. Whether you are a homeschooling parent, teacher, or parent (or grandparent) to young children and wanting to enrich their education, 10monkeys Math World offers a quality program anyone can appreciate! Three winners will each receive a one-year subscription to 10monkeys Math World (all levels) for one child. This giveaway begins on 7/23 and ends on 8/5 at 10:00pm (times are Central) and is open worldwide ages 18+. Please refer to the full terms and conditions in the Giveaway Tools. Disclosure: Emilee from both Pea of Sweetness and Deals of Sweetness received a code for the full version app in exchange for an honest review. Participating bloggers are not responsible for prize fulfillment. Next post: Bo on the Go! DVD Series Review! My oldest hates math but my middle child loves math. The youngest starts this year. At this age, all of them love math as we do a lot of hands on learning in our homeschool. I am glad too, because I loved math when I was growing up. My grand daughter loves to learn. I think she will be great at math, she’s always so happy when she figures something out.